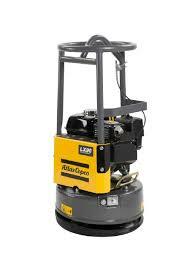 Atlas Copco LX90 ROUND Plate Compactor rental is available in Rochester NY, Ithaca NY and Upstate NY from the Duke Company. Finish faster with Atlas Copco equipment. You’ll get the high centrifugal forces and speed you need to achieve deep and effective compaction on a variety of materials, from gravel to asphalt.